We are engaged in manufacturing and supplying a wide gamut of Expanding Files. 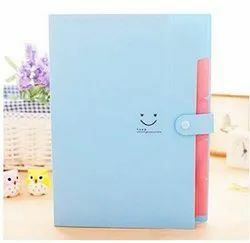 - Expanding File with 12 section, elastic closure & free multicolor tabs. - Product designed to easily segregate A4 sheets of paper. - Available in opaque colors.